When some countries are boasting of the 4G technology, in India, there is a war like situation among the telecom giants. Everyone including the likes of Bharti group, Vodafone, BSNL and Tata have recently launched their 3G services in India. The price sensitive Indian market is still in its infancy when we talk about ‘3G technology’. Till recently the mobile phone has been used for the basic purpose of calling and text messaging. It is now that these players are trying to develop a wider scope of mobile telephony in the country. And the timing is perfect. The Indian middle glass is growing at an unprecedented rate. Secondly, it is willing to spend more than ever before and it is not hesitating to try newer things. It is willing to pay for convenience now. People are surfing the net on their mobile phones, they are buying smarter phones, they are paying bills online and what not. Amid this change, this change which is very swift in nature, Telecom majors are trying their luck with this expensive technology. 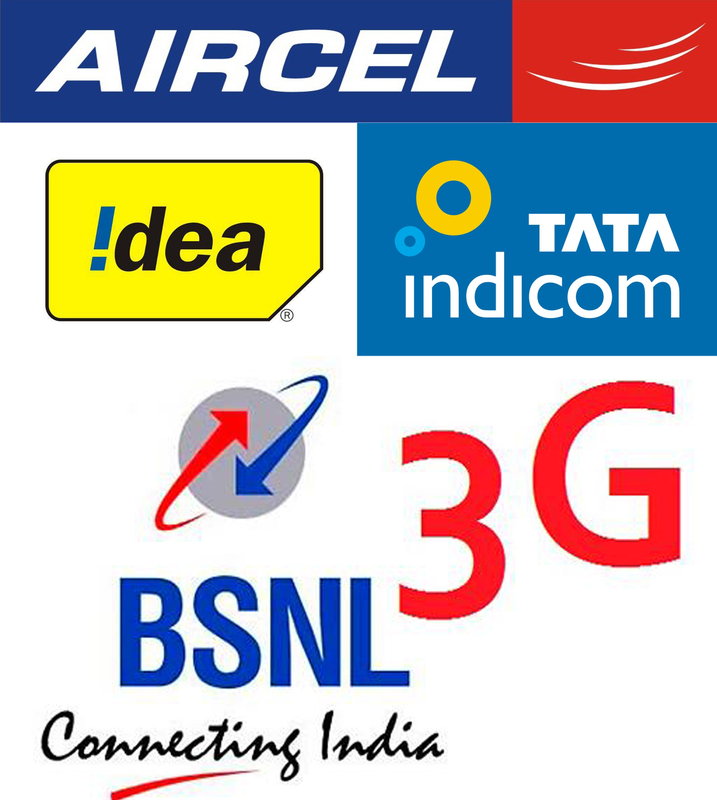 With as much as Rs 68000 crore invested in purchase of the 3G spectrum, I do hope that these companies have a good luck. BSNL could have hit gold when they offered the BSNL 3G services at the price of 2G. This could have been a move by the company to penetrate deeper into the country but the campaign was not really a big success. Neither was it marketed well by BSNL, nor was it easy for a customer who wanted to move on to 3G from 2G. There are some other companies that are also betting big on this sector. The Indian mobile handset manufacturers have already started offering 3G enabled handsets at affordable middle class prices. But there is still a long way to go. Awareness is one important aspect. After creating awareness the companies must think of percolating down the pyramid and then think about increasing ARPU levels. It is an uphill path, and a rocky one. As an example, China has had only 4% adoption of the technology after 2 years of its launch and that too when the players have been aggressive in their marketing and the government has been supportive. Only time will tell whether the Indian market would fare any better for the Telecom majors than their Chinese and European counterparts. Tata Docomo has turned thousands of its retail shops in experience stores where one can come and experience the features of Tata Docomo 3G. The company also conducted a lot of outdoor campaigning activity, some of it being very innovative in nature. Reliance new campaign for Reliance 3G is quite mundane. Though the ads go on explaining about the new services that are being offered it fails to generate any excitement about the brand. The ads lack the energy and the hoopla that has been created around 3G by other brands. Aircel has moved up the ranks pretty quickly and I feel this is due to its connection with the Indian cricket team captain, MS Dhoni. It is offering quite a lot in the 3G network. It has been quite innovative in its offerings. Idea 3G is again, I feel not a very good campaign by Idea. After a very successful ‘What an Idea’ sirji campaign featuring Abhishek Bachchan, the present ads haven’t done a bit to woo its audience. It is just another campaign to me. In fact I was a bit disappointed after seeing these ads. Let me remind you that the European market, where 3G was introduced in 2003, turned profitable for the mobile phone companies 2-3 years back. So it could be a long wait for the companies and especially when they have invested so much. But as I said the Indian market is transforming at a stupendous pace so I think the mobile phone companies here won’t have to wait that much. Currently, a lot of them are using experiential marketing to develop the market. Bharti Airtel has launched a campaign wherein it has several red coloured buses or the famously known “3G buses” on the move in some of the major cities. Users can step into these buses to get an experience of the 3G mobile services like mobile TV, video calling and online gaming. Apart from that they are also trying to induce some excitement among their customers with the new Airtel tune. It’s Print and outdoor campaigns also scream ‘Airtel is here’. It has joined hands with Nokia for its 3G network which might be a smart move. The Vodafone’s 3G ad campaign is brilliant. It’s success from the Zoo Zoo campaign can be judged from the fact that it has been the highest gainer in terms of number of users who have decided to change operators while keeping the number same. Zoo 3G, the new superhero of the Zoo Zoo community is everywhere be it online or offline. One can see these ads floating on YouTube, ad portals, journals, billboards etc. It is a perfect example of how integrated marketing communication is carried out and truly depicts the personality of the brand – Faster, smarter and better.